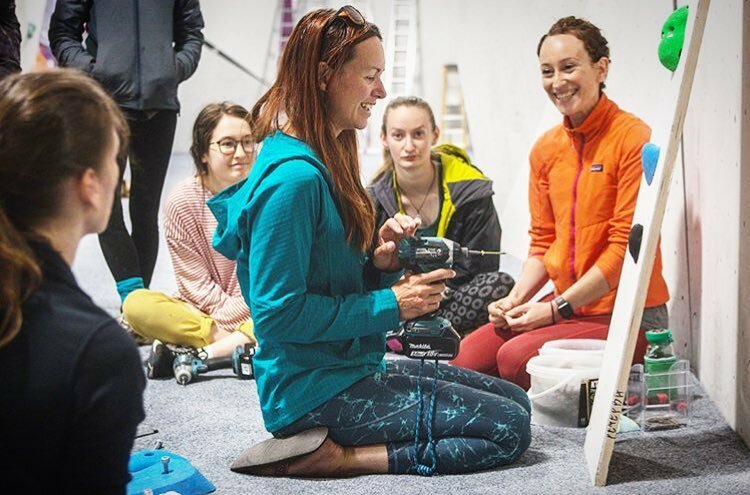 We caught up with Emma to find out more about Creative Climbing and what’s been going on with her. Hi Emma, welcome to Team Scarpa. Can you tell us a little about yourself and your history with climbing? Thanks, I’m pretty excited to join the Scarpa team. 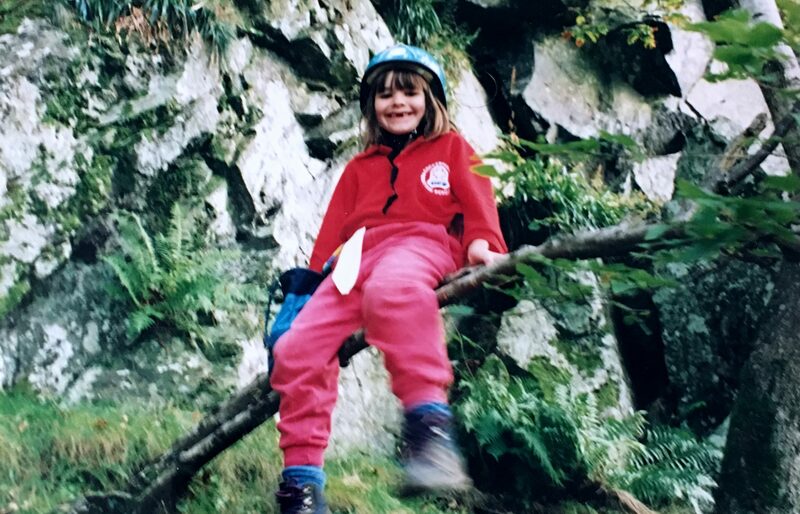 I started climbing outdoors on trad at the age of 7 with my Dad and his friends. 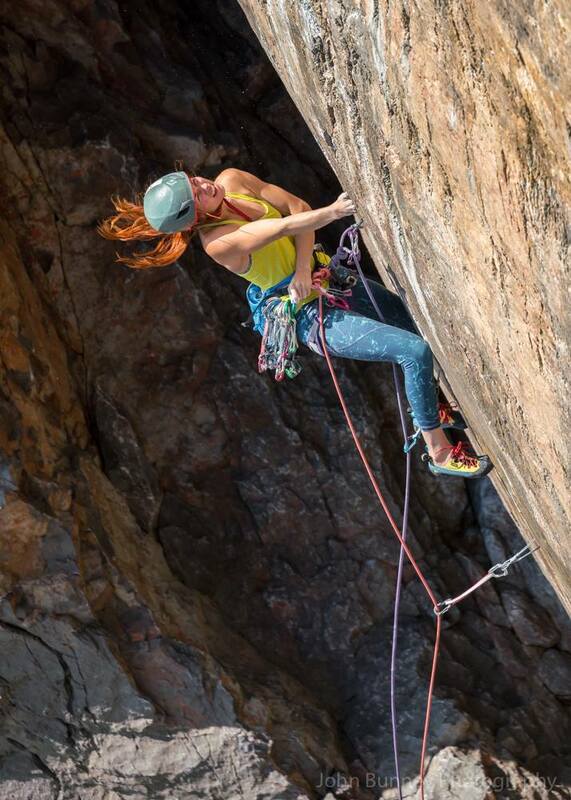 I am best known for my trad climbing though I also love sport and bouldering. From the age of 14 to 22 I represented team GB at competition but at the age of 18 I got glandular fever and had a couple of years out of climbing, it took me a while to get over it and I never felt the same way about competing. At the age of 22 I decided to focus on being outdoors and going back to what I truly loved, I never looked back. I’ve tried to juggle doing a little bit of everything I enjoy. I’ve trad climbed E9, sport climbed 8c and bouldered 7c+ for those who want numbers but to me some of the best moments are just a fantastic day out. What was your main inspiration to set up Creative Climbing? For both myself and Evie we would frequently get women asking us how we got into setting whilst we were working. It’s pretty rare to have more than one woman on a setting team of four but it is something that Evie has been been pushing at the Spider walls with some all female sets with other strong female setters such as Leah Crane and Gracie Martin. It brings a different element to the day and changes in the style of climbing. 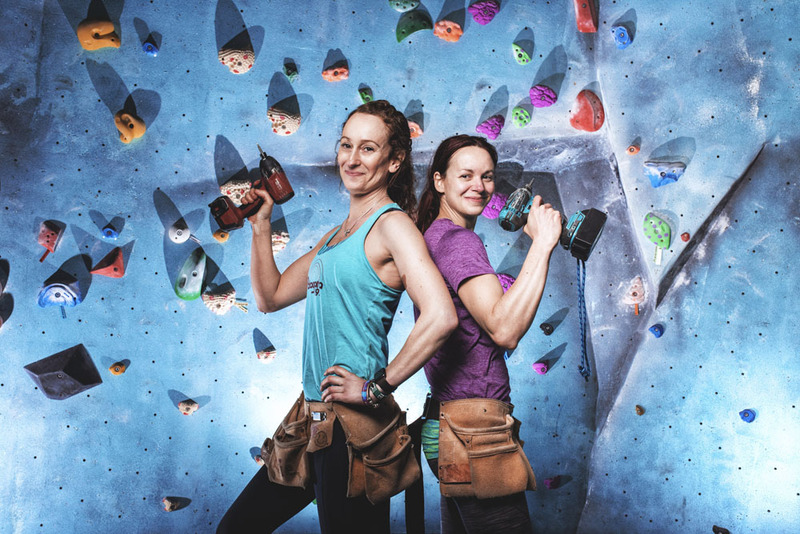 We decided it was something we would like to see more of and to break down the barriers that seem to exist as climbing grows, we wanted to encourage more women into this side of the industry and to show them it is possible. What do you want women to be able to take away from the workshops? The main objective for us is that the ladies have fun on the workshop but that they learn about setting at the same time with small steps. We want to give them that initial push into the industry with the knowledge and confidence that they are capable. We give them the information they need to be able to set properly by going through the basics to start with and then get them to set and test boulders with feedback. We want it to be as realistic as possible but both feel if we can teach them the basic principles such as how to attach a hold to the wall without blowing a t-nut then the rest will come with practice. We also want them to be aware that setting is like an apprenticeship and you have to go out and build up the experience and speed of setting quality climbs with practice which means setting for free or at a lower day rate to start with. There is no particularly easy way into setting but you have to be willing to take a little bit of risk to get started if its something you really want to do. Are there any specific requirements to be able to attend? Age etc? We do require that the ladies climb about V2 to be able to set and have been climbing for at least 6 months to understand some movement, however they don’t have to have set anything before as we cover all the basics. We also require that any ladies attending are at least 18. What advice would you give to any ladies trying to get into route setting? The main one would be to just ask your wall to give it a go for free if you are truly interested or to try out one of our workshops. Be prepared to graft though, it’s isn’t all glamour, this job is very physical with lots of heavy lifting. You have to be willing to work hard because you are part of a team but also be honest about the level you can set up to. If you can set up to V4 then say that because if you say you can set harder and then struggle it makes it harder for the team or you might get put on a hard circuit by yourself in which case the only person you have sandbagged it yourself and the wall who has the expectations you’ve set up. It is self employed work so you have to work hard to set up your own reputation and contact the walls to get the work. Think about how many days your body is capable of setting for, can you supplement it with other work but also look at days you can repeat for a few days in a row. I try not to do more than 4 days in a row but usually by the end of the 4 my body is pretty tired. I would struggle to do 4 or 5 days of setting 20 boulders in a row but I can manage 4 days of 15, for me it’s better to have quality over quantity because I am putting my name to that work. Are there any upcoming workshops planned or anything else exciting in the pipeline? It is still a work in progress for us as we try to juggle our own setting careers but it is something we are excited to develop and progress with. We are looking to set up a couple of Winter workshops so watch this space and keep an eye on our Instagram page for announcements. What are your aspirations, climbing wise, for the rest of the year and 2019? This has been the first year in a while my body has coped with specific goals, so I’m just taking it one step at a time. I’ve got one more big goal for this year that I hope to achieve by climbing Big Bang at LPT but it may not happen. It’s part of the joy and vulnerability of climbing, I may not succeed this year but I’ve put a lot into it and success will be sweet when it happens. I need to sit down and plan next year but I have an exciting boulder trip to Bishop with Evie lined up for March. I’d like to do more Alpine climbing next year and I need to figure out some new trad and sport goals. One last thing, what are you looking forward to the most about working with SCARPA? Well, I already think that Heinz is a genius from sitting down and discussing the design ideas behind the shoes. I really love the Chimera’s already but I’m looking forward to developing a great relationship where I can hopefully work closely with Scarpa and become a part of the team. I’m excited to see how it progresses and what the future brings. Thanks for your time Emma, we look forward to having you here at team SCARPA. If you want to find out more about Creative Climbing and upcoming workshops, keep an eye on their Instagram and Facebook.